Medical Spa Advertising needs to be approached in a specific way. With this in mind, as specialists in the area of Medical Spa Advertising, we have put together 5 Top Tips below that we feel should be taken into consideration by any medical spa wishing to improve its online advertising efforts and further develop itself into a home run success. Before we share with you the tips here is a link to recent results we achieved for a medical spa clinic in Memphis in early 2017. PPC Management via Google AdWords is the best form of online paid advertising that a medical spa can buy into if wanting to increase visits to its website and ultimately receive more guests on its premises. The problem with pay per click is that it is the most complex form of online medical spa advertising that exists today. Its complexity lies in the fact that there are constant pay per click updates and improvements to keep on top of which ensure that the internet user and the internet advertiser are both getting what they want from their online experience and that the time spent online is positive. With this in mind, outsource your advertising to a company like Webrageous Studios, specialists in Google AdWords PPC and experienced in the marketing of medical spas. Webrageous Studios will be able to manage your campaigns, optimize your advertisements and landing pages, restructure your keyword lists and advertising groups and more. Essentially, the expertise that Webrageous Studios has will ensure that your advertising budget is well spent. Customers will be walking through your doors if you outsource your Google AdWords management to the right company. Choose Webrageous! Someone has an ailment. They are searching for information about the ailment and how to cure it or stop the pain, etc. They visit lots of different medical websites and websites for alternative medication. Whilst on those websites, they see an advertisement for a medical spa and click on it. They land on the site, they are impressed with what they find and they book themselves into that medical spa for the coming weekend. Before seeing the advertisement, this internet user didn’t even know that there was such as thing as a medical spa, so there was no way they were going to do a direct search for one in a million years. The advertisement on the Display Network was successful in generating another client for the medical spa in question because it was targeting one of the places where people who might be interested in a medical spa happened to be researching, browsing, looking. Work with Webrageous Studios and we will show you how medical spa marketing thrives on the Google Display Network. If you are using Google AdWords to run your online campaigns then you need to make full and regular use of Google Analytics in order to remain abreast of what is working in your campaign and what needs to be changed. You’ll be able to see information about conversions, clicks, quality score, advertisement text, advertisement placing, geo-targeting, sitelinks and more. If your PPC Management Company is not using Google Analytics, or another equally efficient analysis program as a way of optimizing your online advertising that much further, you need to make a change. Medical spa marketing is not easy and analysis must be constant in your marketing plan. Medical Spas receive a huge amount of phone calls. People call medical spas for information, advice and prices. They call medical spas in order to make bookings at the spa itself too. In advertising analysis terms this is a bit of a problem because you need to be aware of where these phone calls are coming from. If your medical spa markets online and offline, it is difficult to know if your offline campaigns are sending your customers to the telephone or whether it is actually an internet page / online advertisement that is doing it instead. You could be wasting lots of money on billboard advertisements because all of your leads are actually coming from online advertising. Equally, you could be wasting money on your online campaigns because all the clients who walk through your door come from TV advertisements, only you haven’t realized this because you have had very little way of finding this information out. Phone Tracking is a fantastic service that will get rid of this problem in a flash. When someone calls your medical spa as a result of clicking on one of your online advertisements, you will hear a sound as you pick up the phone before you are able to speak. This will indicate that the customer calling is doing so as a direct result of your online medical spa advertising. People who go to medical spas do so for different reasons. Many have completely different ailments, some choose their spas because of location and some choose their spas because of price. The reasons extend beyond these examples, but this does help to give you a little bit of an idea about the subject. For this reason you need to have carefully selected keyword lists split up into even more carefully organized advertisement groups. Groups that have keywords working poorly can drain advertisement budgets. Keywords that generate lots of clicks but don’t convert can also drain your budget and generate very little customers. 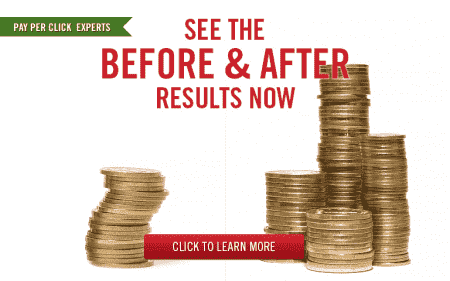 This is again why it is important to have a trained professional managing your online medical spa advertising. Contact Webrageous Studios and let us take a look at your campaigns to see if there is something that we can do with your keyword lists and advertisement groups in order to optimize your PPC marketing even further.